In 1945 Japan had to adjust very rapidly to sudden defeat, to the arrival of the American Occupation and to the encounter with the English language, together with a different outlook on many aspects of society and government. This scholarly book is based on in-depth interviews with people, now aged, who were school students at the time of the Occupation and who experienced first-hand this immense cultural change. The book considers the nature of the changing outlook, including democratization, the new role for the Japanese Emperor and all this represented for the place of tradition in Japanese life and the growing emphasis on individualism away from collectivism. 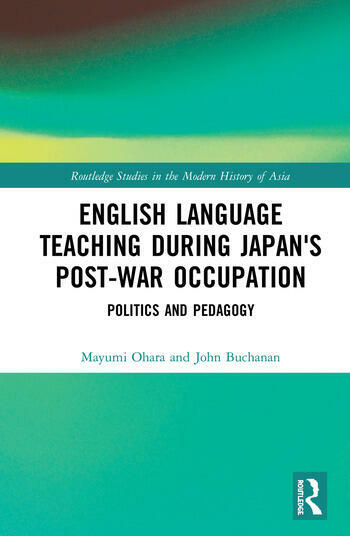 It discusses the changing system of education itself, including new structures and new textbooks, and relates the feelings of the participants as they came to terms with defeat and the language and culture of the former enemy. Overall, the book provides a fascinating insight into a key period of Japanese history. Appendix D The Locations of the Middle Level Schools Attended by Participants (Except for Yoko) as well as Other Places Referred in the Book. Mayumi Ohara obtained her doctorate at the University of Technology Sydney. John Buchanan is an Associate Professor of Education at the University of Technology Sydney.